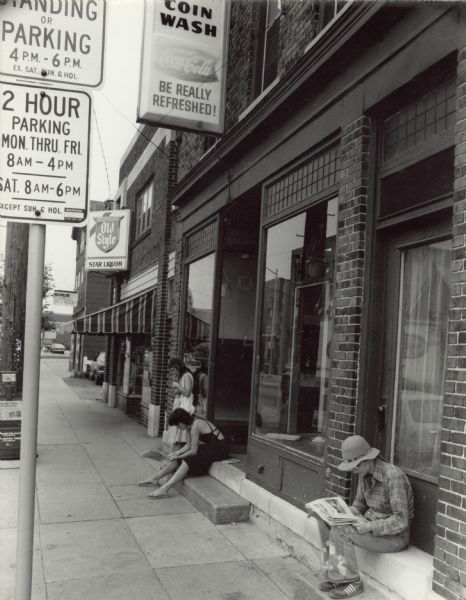 Sometime in the spring or early summer of 1982, photographer Jack Greene set out to Williamson Street to create a photographic journal of the Madison neighborhood. He captured several images of people, buildings and scenes, producing a small collection of black and white photographs documenting Williamson Street. The artist attached a short blurb to the frame of each photograph, which describes the image or records the thoughts of the people featured. 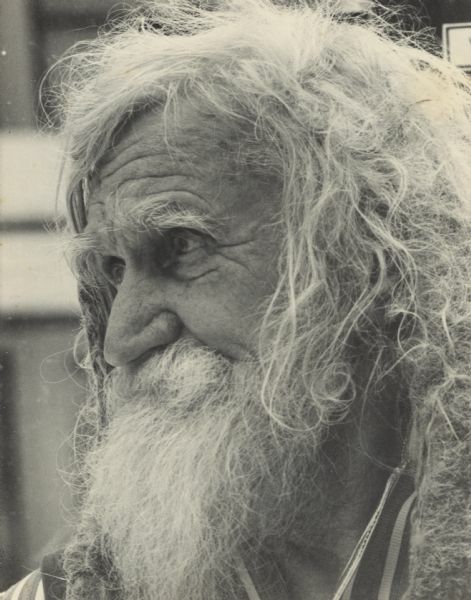 Thirty-four of his original photographs are now housed at the Wisconsin Historical Society. Despite being only thirty-three years old, the journey this collection has taken from the darkroom to the Wisconsin Historical Society remains a puzzle. Jack Greene won a mayoral grant for the project in April 1982. By August, he had completed the project and displayed his work in an exhibition in the Wil-Mar Neighborhood Center. We know nothing about the collection after that until Courtnie Duncan found it in an antique shop in Tennessee in May of 2015. Recognizing the cultural value of the photographs to the city of Madison, she launched a Gofundme campaign on the Historic Madison Wi. Photo Group Facebook page, soliciting funds to buy the collection and donate it to the Wisconsin Historical Society. In less than a week the money was raised and the black and white photographs arrived in Madison. The collection serves as an important reminder of the fragility of memory and the importance of recording and preserving history. How the photographs migrated from Madison to Tennessee remains unanswered. The photos and the captions offer insight into the recent past of Williamson Street. The beauty in these black and white photographs is not just the images themselves, but the memories they ignite and that they have preserved.